Sit back and enjoy a cold Jack Daniel's Country Cocktail. With eight different flavors to choose from, they're a refreshing change of pace. Can you beat plain old lemonade for delicious refreshment? Why, yes. Yes you can. So full of watermelon flavor you’ll be tempted to spit out the seeds. 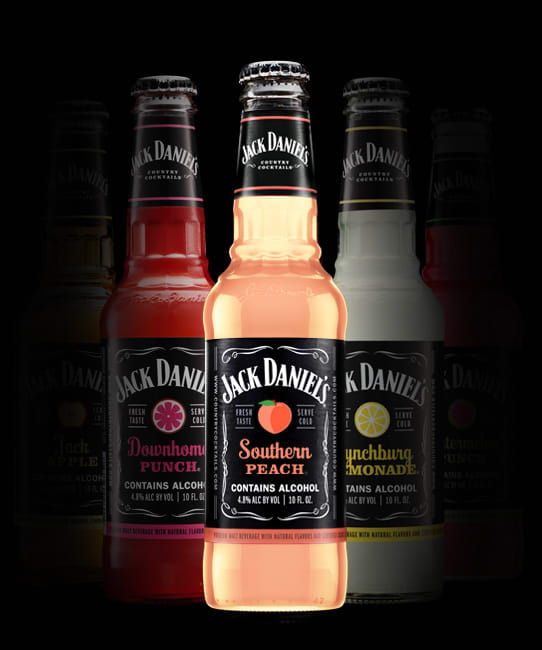 If you love Jack Daniel’s, rest assured. This apple didn’t fall far from the tree. They go so good together we couldn’t keep them apart if we tried. Berry-picking can be fun. But not as much fun as just reaching into a cooler. One punch that has a bit of a kick, too. A refreshing take on Southern Charm.